Wickedly cool concept for you lot to feast your eyes on, I even like this Beemer. If you ask us, the BMW R nineT is a pretty big deal for the business of motorcycling, as its modular design allows for the air-cooled standard to be modified extensively and easily. BMW Motorrad designed the R nineT that way so tuners and customers alike could put their own stamp on the machine that celebrates the German motorcycle maker’s 90th year of business. Whether your taste is along the lines of the heavily modified BMW Concept Ninety, which Roland Sands had a hand in making, or something more stock from the BMW parts catalog, the BMW R nineT can abide. So, it probably shouldn’t surprise us to see that Nicolas Petit has inked another build for German parts maker Wunderlich. 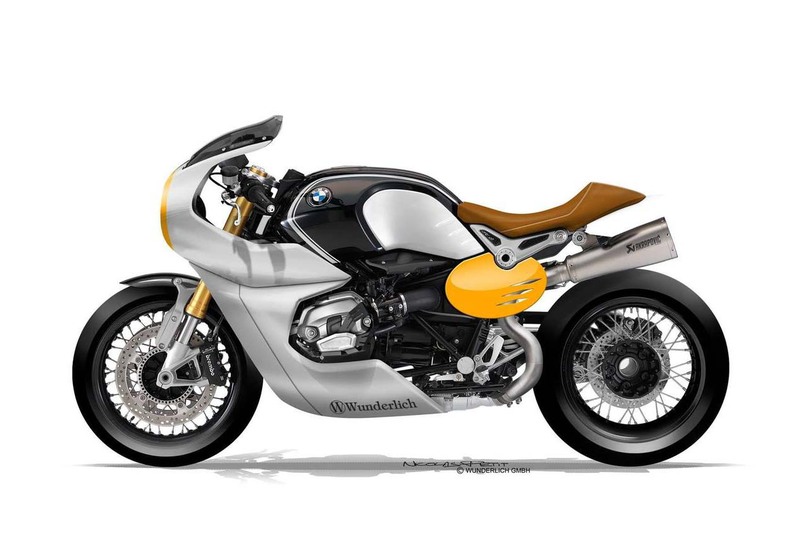 Drawing both a fully-faired and a more bare-boned version of Wunderlich BMW R nineT cafe racer, Petit has once again made a lurid proposition. 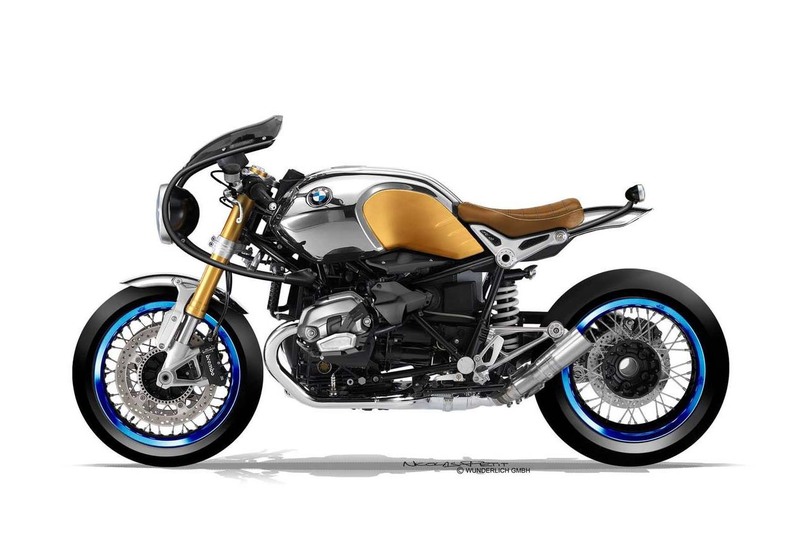 We think those who love the classic lines of BMW’s past will enjoy these concepts, and if anything Petit’s work shows the versatility in the R nineT’s modular design. This entry was posted in Blog and tagged bmw, cafe racer, classic motorcycle, concept, ton up.